obtaining theoretical background to further one's ability to observe and determine the practical value of rocks. In general, this course provides an overview of some aspects of our world from a geological point of view. No specific skills or prior knowledge, only self-interest, motivation and desire for self-development. The aim of the course is to understand and appreciate the surrounding inanimate nature (the Earth surface), consisting of minerals and rocks. This course will also teach you how to identify the practical importance and value of the rocks surrounding you. know their practical value and their influence on the environment. Chapter 1: Crystallography and symmetry around us. Morphology of natural geological formations. Identify and recognise the most common sedimentary rocks among other rocks. Professor, PhD in Geology and Mineralogy. For many years Lyudmila was a research staff member of Tomsk Polytechnic University Mineralogical Museum. She has conducted tutorials and field survey expeditions. For more than 15 years has been teaching courses in crystallography and mineralogy. Her area of expertise embraces exploring quartz and quartz rocks as sources of raw high-purity quartz. Lyudmila was a participant of the well-known Russian-Italian Tunguska Meteorite Expedition. 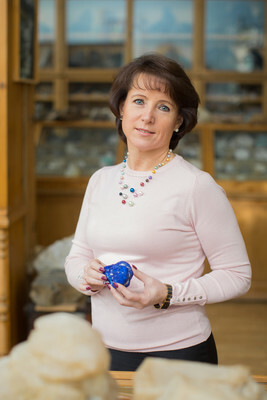 Director of Tomsk Polytechnic University Mineralogical Museum. She is a member of the Mineralogical Certification Committee and has certified on more than ten Russian ore deposits. 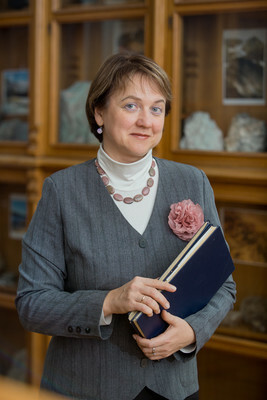 Tatyana has actively participated in the engineering training of geologists and mineralogists. At present she is mainly concerned with the promotion of mineralogy as a science to specialist and non-specialist audiences.